When a product line includes hundreds of SKUs and has evolved over years, it’s almost inevitable that inconsistencies will creep into the packaging. 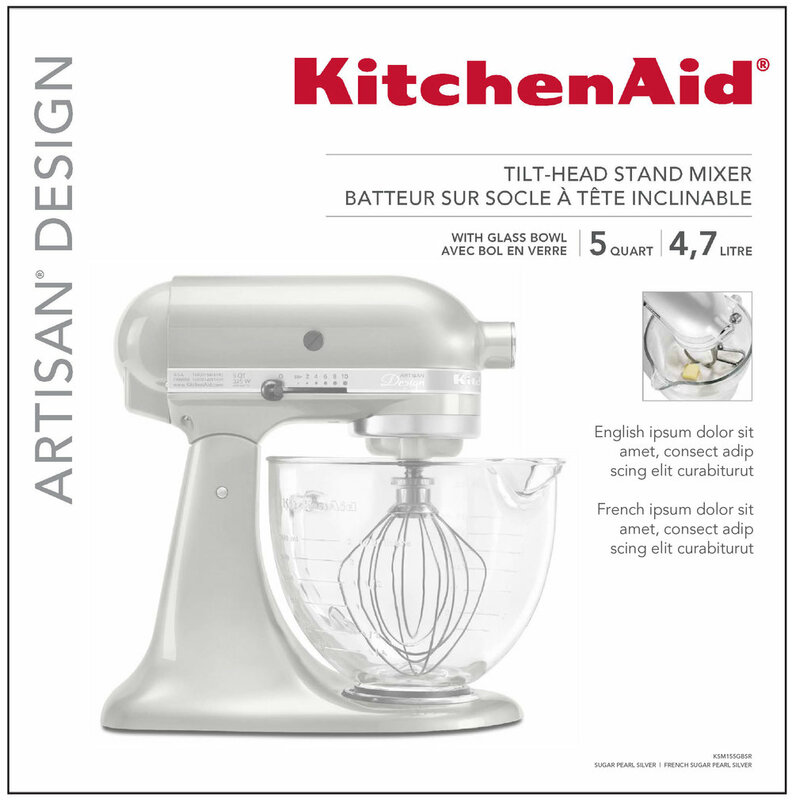 KitchenAid came to Damen Jackson for a packaging design refresh. What we delivered was a whole new way of creating impact at the shelf. KitchenAid needed consistent product and brand messaging across 200+ products in their Small Appliance product line. Damen Jackson provided two unique approaches–one led with product features and the other led with consumer benefits. Both strategies were brought to life across several products. Seeing the strategies in context compelled KitchenAid to select the product feature approach. We provided a consistent hierarchy of information for Small Appliance packaging, including recommendations for making product comparison simpler and more intuitive. Once the approach was approved, we developed a matrix defining the order and specific wording to be used across 13 product categories. Special emphasis was placed on communicating unique product technologies or value-added features within the product lineup. Our team created a new packaging design architecture using dedicated “Communication Zones”. Key messages are placed in consistent areas of the package to provide visual consistency across their many product lines. Damen Jackson delivered master design templates for the 13 main product lines, and guidelines were produced to ensure packaging and messaging consistency well into the future. The new KitchenAid packaging design and communication approach was implemented as a rolling change across all products, and retailer feedback has been overwhelmingly positive to the solution.